Write down all the meals that you make and are willing to make. 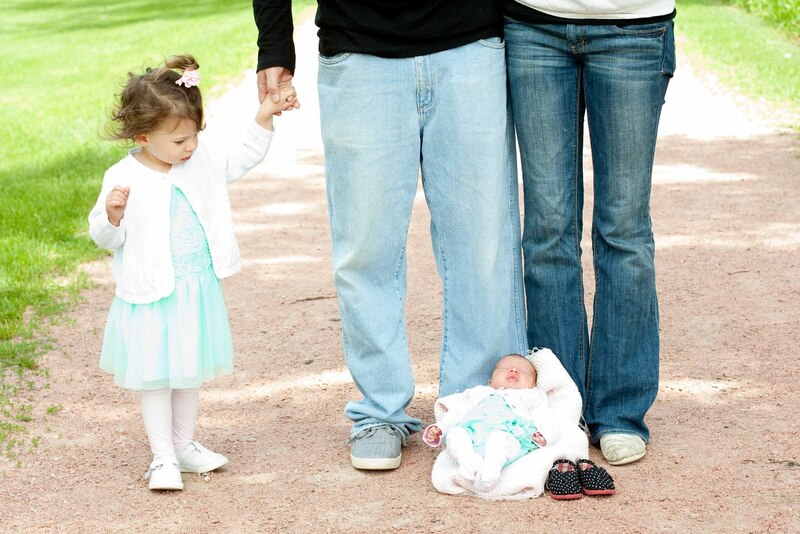 Ones you know your family eats and ones you know you will use without a doubt. When I was first starting out, I just used computer paper. I'd divide it up into a month and then write down each day's meal. Now, I use something a little more fancy, but at the time I used what I had on hand. I Pinterested many monthly meal plan ideas and nothing really stood out so I came up with my own, I purchased a monthly dry erase board calendar like this, although mine doesn't have the cute little frame. Now what I like about using a marker board, is I'm not wasting paper or having to buy paper over and over to keep using. 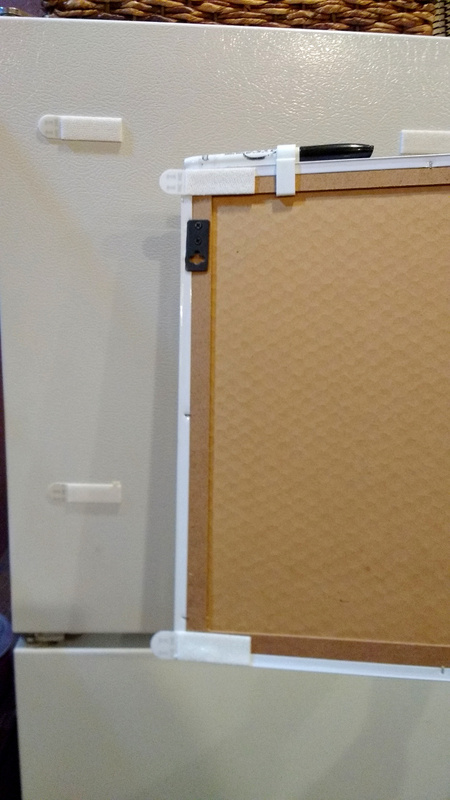 However; until you can get a marker board, use paper, and do what I did reuse the back side so you can get 2 months on one piece. These next steps are totally optional, and it was something that took some time, but after it was done it has been great at saving time and planning. 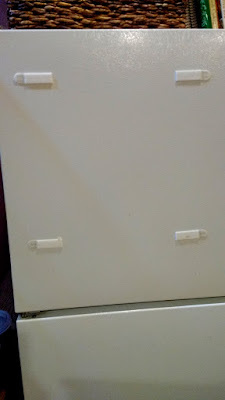 I took the spaces on the marker board and made a template on the computer to fit the space, it took a few times to get it right. I split up our meals into color codes. Purple: Fun events (family visiting, visiting family, bible study, date nights, etc). 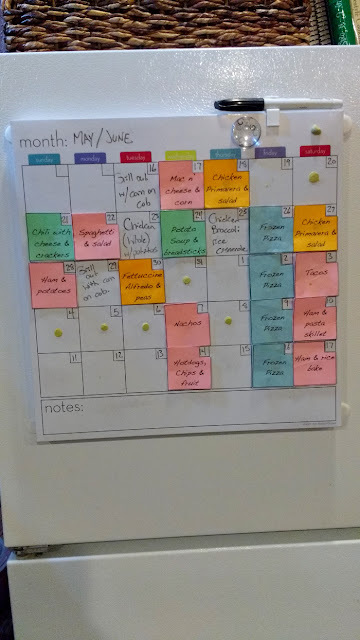 Once I have all my meals listed on paper and then divided up into the sections that they fit in, I take that template on the computer and I type in each one. Each page being one section or save each section as it's own doc (I had to do this because I had more than one page for some sections). So for example I have saved my template over and over as Meat meals, chicken meals, breakfast meals, soups and salads, etc. Then I type in the different meals on each square template. Gather paper in the colors you chose. Then print each section on the designated color you chose. Finally cut out and laminate. You can do this a couple ways, one is to just use packaging tape, especially with the small squares this is fairly easy. Or if you have access to one you can use a cold laminator. 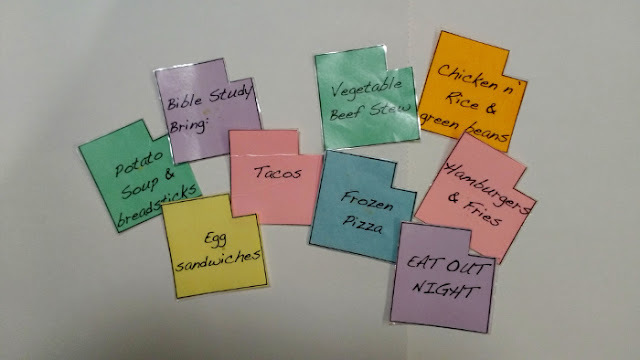 Either way, it works way better if you laminate your squares. Grab some sticky tack to attach your meals to your calendar. This way you can change them if need be and they're really easy to add to the board as you plan. We keep ours on our fridge. I purchased some Velcro command strips to add it to the fridge. It makes it simple to pull off if I need to, but it holds super well to the fridge too. 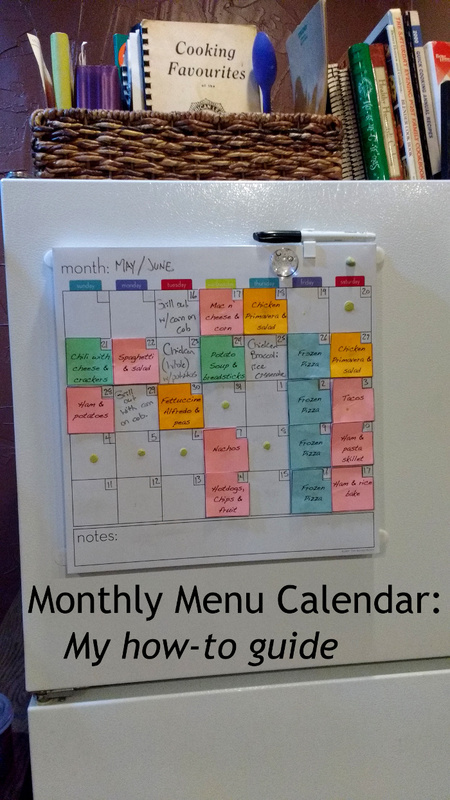 And there you go, you have a menu calendar with switchable meals that you chose and are made just for your family. If you are interested in my meal planner, feel free to comment below with your email and I will email you the template for free. Note not all calendars are the same size, my template square runs 2" x 2" with 1/2" x 1/2" little square cut out for the date. Interested in the calendar pieces all printed and laminated? Email me your food list and color codes and I will make your own set. Also email me the width and height of your square if it's different than what I listed above. Each page can fit up to 12 different meals. Cost would be $3.00/page + shipping.